Home / Face / Can You Get Rid of Eye Wrinkles and Bags Without Surgery? Although eye wrinkles and eye bags (or tear troughs) are an inevitable part of aging, this does not mean you can’t do anything to reduce their appearance. If both of these concerns have been making you look tired and older than you really are, it’s time to explore your options in making those wrinkles and bags less noticeable. It’s good to know that your options are not just limited to surgery. There are a number of safe aesthetic treatments that doesn’t involve cuts, incisions, or longer recovery time. Read on and find out how you can treat or improve the appearance of eye bags and wrinkles. Over time, the skin loses volume due to decline in collagen and elastin. This results in the formation of bags or tear trough as seen as the “lengthening” of the skin below the eye area. In order to correct this, the volume must be restored under the skin. This is where dermal fillers help. Using safe injectable gels, Dermal fillers restore volume and provide a rejuvenated look by decreasing the appearance of wrinkles, fine lines, dark circles, and eye bags. They are also used to enhance the cheekbones, plump up the lips, define the chin, and increase the height of the nose bridge. At Cutis Laser Clinics in Singapore, we have dermal fillers made of substances that are naturally found in the body, making them safe and effective. These include hyaluronic acid or HA (Juvederm) and calcium-based microspheres (Radiesse). HA fillers – These are mainly used for restoring the skin’s lost volume and structure. 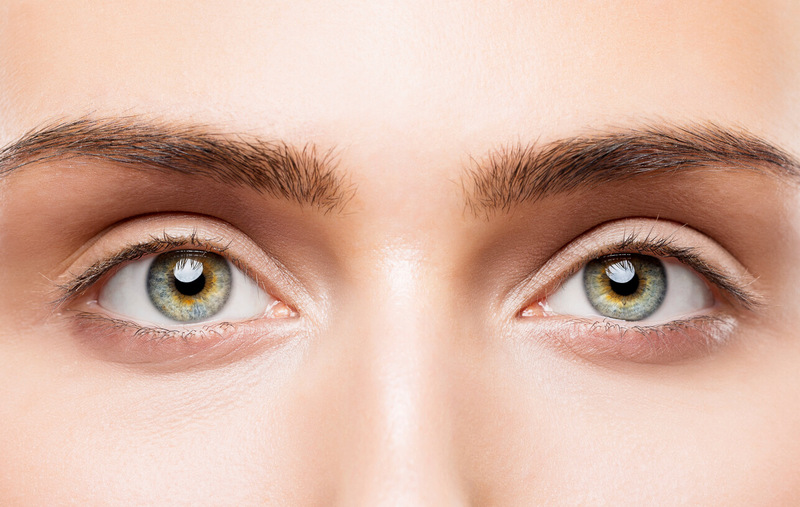 You can turn to Juvederm to improve your eye bags, fine lines, and nasolabial folds. They can also fill the lips, augment the chin, add volume in the cheeks, and give you a higher nose bridge without surgery. Calcium-based microspheres – These are used for plumping the skin, improving the lines on the face, and replenishing volume lost over time. You can also turn to Radiesse to fill in your lips and nasolabial folds, as well as add volume to the cheeks. Both fillers offer immediate results that can last for 9 to 12 months for Juvederm and 9 to 15 months for Radiesse. Do take note, however, that this will still depend on the type of fillers and number of syringes used. Botulinum toxin, also known as the brand Botox, is a safe US FDA-cleared injectable treatment used for getting rid of dynamic wrinkles (formed due to facial expressions). It is used to improve the appearance of wrinkles around the eyes, as well as frown and forehead lines. It works by temporarily blocking the signal from the nerve to muscles to relax and soften the wrinkles formed by muscle contraction. It can take about two weeks to see the full effects of Botox. The results may last for three to six months, but keep in mind that they tend to last with repeated or touch-up treatments. This is because the muscles become less prominent. When thinking of getting Botox in Singapore, be sure to consult a certified aesthetic doctor with a good track record of injecting Botox. It is important to choose someone that is highly knowledgeable to the facial anatomy to achieve natural-looking results and avoid having a frozen look. This innovative treatment uses a US FDA-cleared laser technology to reduce fine lines around the eye area as well as minimize enlarged pores, treat scars, correct sun damage and redness. It is used as an anti-aging face treatment, with high safety and efficacy, which can promote skin regeneration from the inside out without any downtime. Laser Genesis gently heats the second layer of the skin to stimulate collagen regrowth. It is normal to feel a gentle warming as the procedure is performed, but this is usually described as therapeutic and relaxing. You can also immediately return to your normal routine, but you need to use sunscreen during outdoor activities. After each session, you may see subtle yet consistent results without unwanted side effects like irritation or bruising. It is also good to know that treatments are performed in a relaxed and comfortable manner, without the use of topical gel or anesthetics. With the aesthetic treatments mentioned above, you can now treat and reduce the appearance of your eye wrinkles and eye bags safely and without surgery. Contact Cutis Laser Clinics in Singapore today and schedule a consultation with our Harvard-trained aesthetic doctor, Dr. Sylvia Ramirez, to find out which treatment suits you best.